Exploring the core values that make your leadership authentic. Janice Marturano, Founder and Executive Director, Institute for Mindful Leadership; Former Vice President, Public Responsibility and Deputy General Counsel, General Mills Inc. Some time ago, I was reading an interview with James Hackett, the CEO of Steelcase. When he was asked about his most memorable leadership lessons, he spoke of the importance of becoming a leader that was not ‘prepackaged’. In the course of his work, he met many CEOs and noticed that the ones who were truly impactful, truly leaders in every sense of the word, were those who were not ‘prepackaged’. The great leaders were those who exhibited a ‘sense of peace, this self-awareness, that says, ‘I understand who I am’. I was touched by his words and how strongly they resonated with my experiences over the past 25 years. On its face, the invitation to be self-aware and to embody our authenticity in the workplace seems simple. 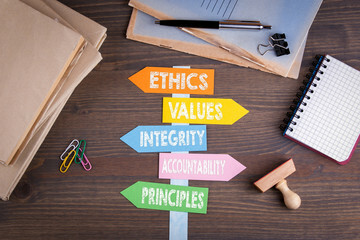 But the realities of evolving into a leadership role can present many enticing moments to be like someone else, to ignore that gut feeling and step away from what is deeply held as our values, our ethics. There are the ‘unwritten rules’ of the organization, the stories about the need to ‘manage up’, the pressures of meeting this quarters’ numbers, the calls to ‘do something’ even when patience is the better course, and the statements about what ‘everyone’ is doing in the marketplace as justification for actions that are ‘gray’. It takes strength and courage to stand in ‘who I am’ at moments like this. But when we don’t, a little piece of us is lost forever. The journey to know who we really are is sometimes long, and often surprising. A reflection that explores your core values as a leader can support discovering the answer (and serve as a reminder when things get muddy or feel flat). Sit quietly, allowing the body and mind to settle into the present, and then simply notice what arises when you ask yourself these questions. What are my leadership principles? What are those principles that are my rudder amid the storms? And what do I notice when my actions as a leader do not align with these principles’? Put aside the initial reflexive answers and continue to notice what else arises in the stillness. If you care to, give this reflection a try this week. What principles support your leadership’s authenticity? Janice Marturano is the Founder and Executive Director of the Institute for Mindful Leadership, a non-profit organization dedicated to training and supporting leaders in the exploration of mindfulness and its impact on the cultivation of leadership excellence. She founded the Institute in January, 2011, after ending her 15 year tenure as Vice President, Public Responsibility and Deputy General Counsel for General Mills, Inc.
Janice’s work has been featured in the BBC, Huff Post Live, NY Times, Financial Times, Time magazine, CEO magazine and Forbes. She is the author of the award winning, international best-selling book, ‘Finding the Space to Lead: A Practical Guide to Mindful Leadership’.